Heading to New York City today to see Marlin, my mom and my sister and Luna! Excited to be in the city and even more excited to be with family. So much for sleeping in the airport, we missed our 6:00 am flight anyway! When we got down to security, the line was insanely long–they had dogs out checking everyone and the line was moving so slow. They ushered us quickly through but we still missed our flight. No worries though, Jet Blue rebooked us for an hour later so we were fine. Time for Starbucks! We flew into Newark (I need to post about this sometime) and took the train from Newark Airport to Penn Station. The train was fine and uneventful but once we got to Penn Station, finding a cab was challenging. Figuring out where we were was challenging (even with my maps app) and so we finally called an UBER. It took him about 45 minutes to go two miles. We really should have just walked. Oh well! Finally checked in and they let us check in early. Yay! 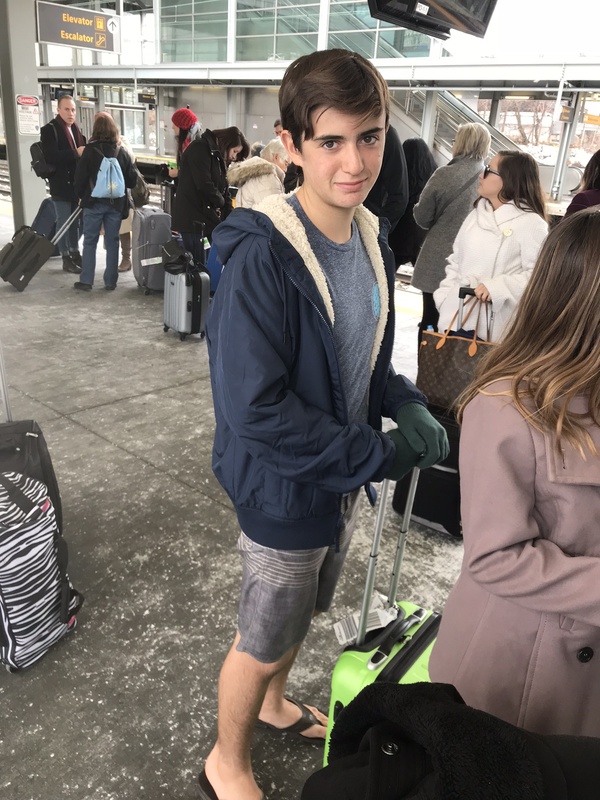 At this point, the weather was about 17 degrees and Sawyer insisted on wearing shorts and slippers. 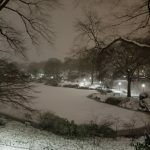 Nothing I could say would change his mind…so there he was in freezing weather, walking around in slippers. He got some looks for sure. By this point, it was about 2:00pm and we were all starving. We found a place near our hotel with great beer, great food and options for vegetarians, vegans, gluten free eaters—everyone. 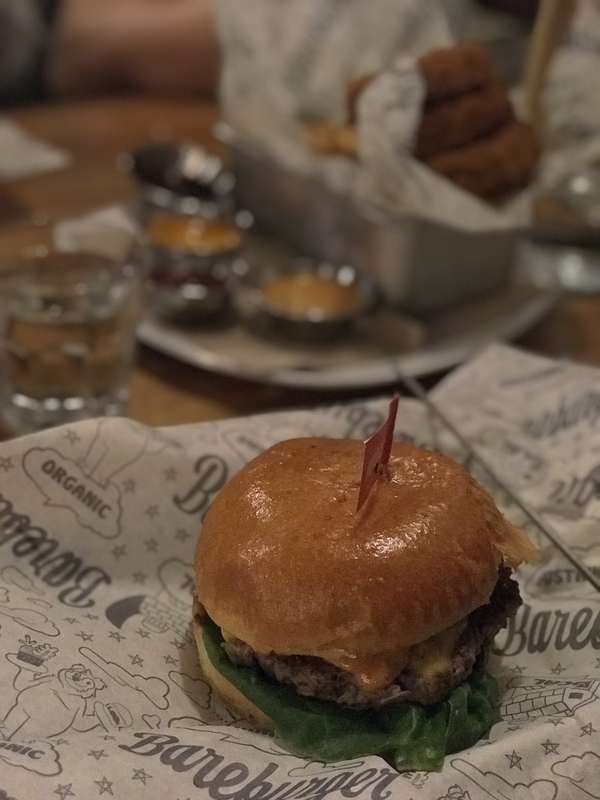 BareBurger was one of the highlights of the trip….for me and Sawyer mostly because they had this Impossible Burger—-which really, really tastes like beef. Somehow they were able to make a beef like patty in texture, consistency, and taste. It was so good. This is the future of our food. Marlin came and met us there and it was so nice to see him! 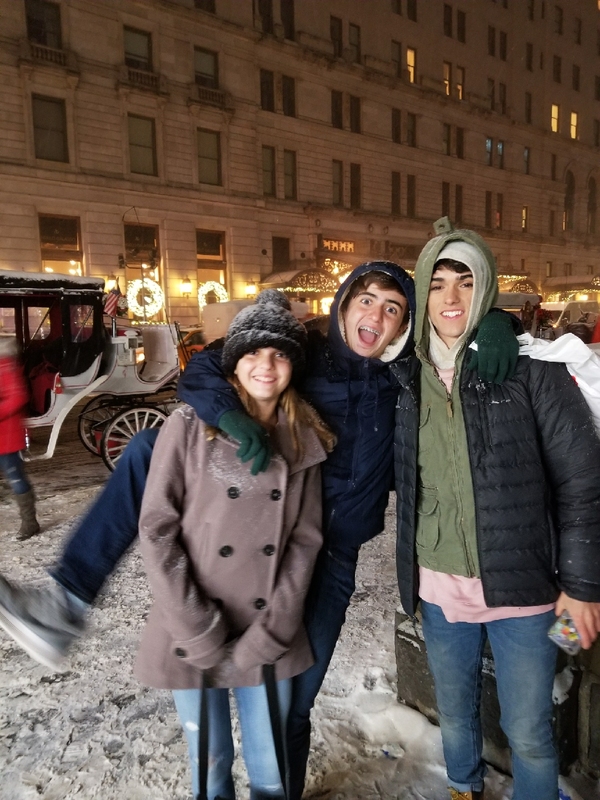 After living on his own in New York City for the past four months, we really missed him and wanted to hear all about his life there. While we were there, it started snowing! Could the day get any better!? 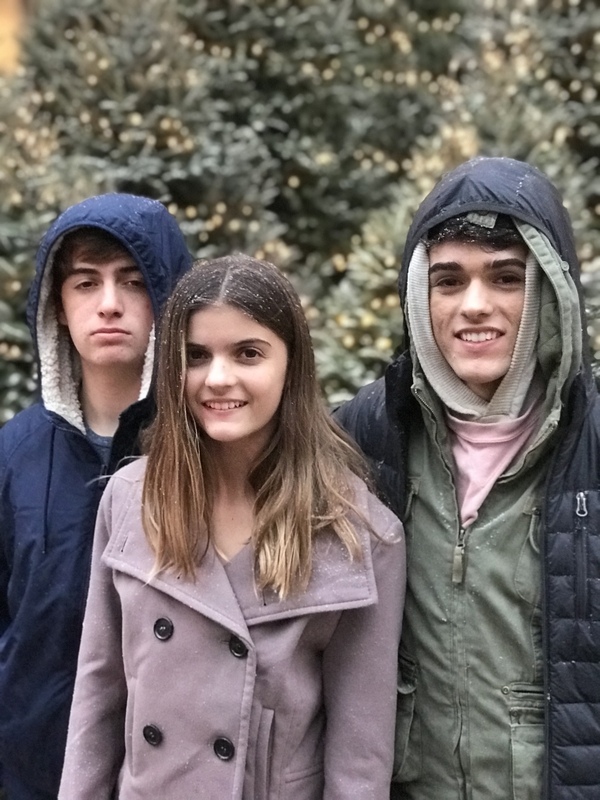 We realized we weren’t warm enough so headed to get a few new warm things at H&M, including my soft new blarf (blanket +scarf)…….what a find! 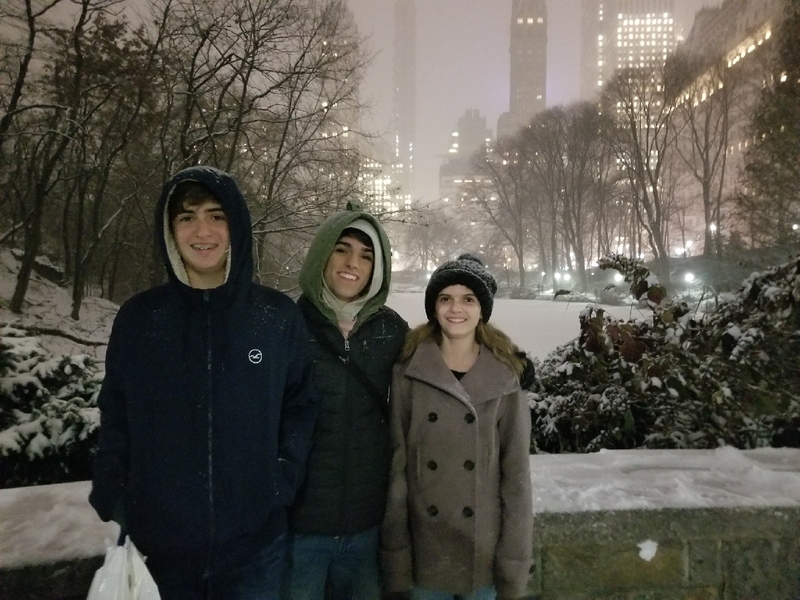 We didn’t have much time with Marlin before he had to go back to rehearsal but we had time to walk to Central Park and enjoy the beautiful falling snow. We were cold but the snow was so beautiful, we just wanted to be outside. Actually, the picture below is what I keep imagining when I need a moment of peace, quiet and beauty. 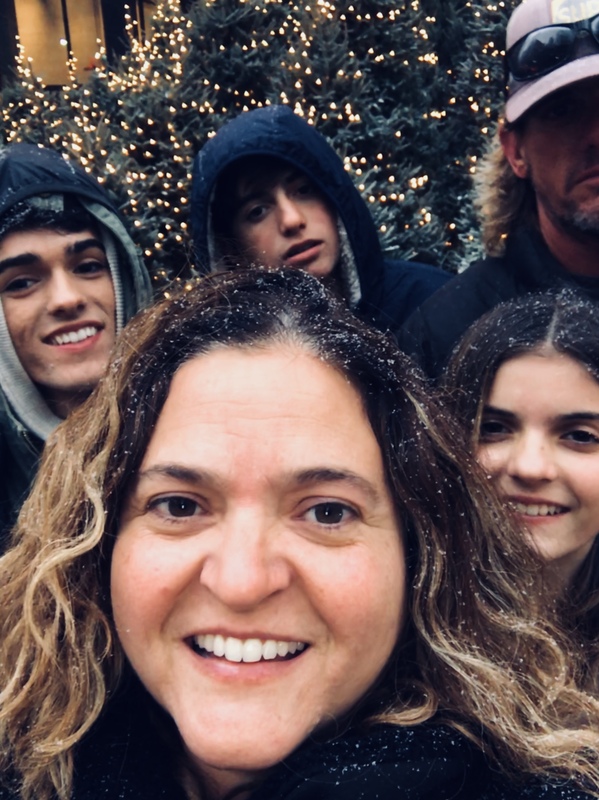 I close my eyes and look for this in my mind…..I can actually re-create how it felt to be there…..warm from my jacket, gloves and hat, cold from the snow and the air, my heart full because my family was all together and just the pure beauty of the snow–making everything sparkle. Just mentally coming back to this scene has calmed me a few times during the stress of this season. I think we were back in our hotel room by 7:30 pm and just laid around watching TV and relaxing. There was a lot of walking today (my Apple Watch indicated it was 7.00 miles!). 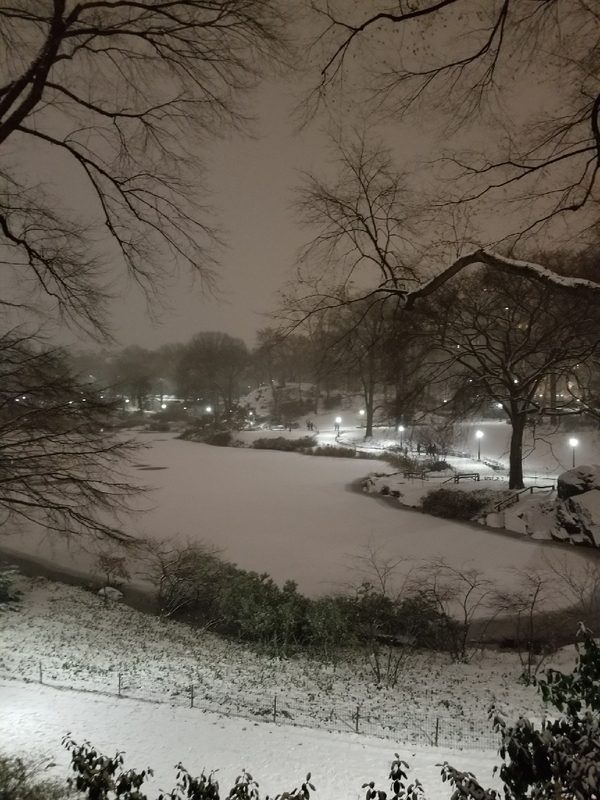 I was asleep by 8:30 pm….in the city that never sleeps, I was exhausted!